I hadn’t been to the Virginia Beach area since I was looking at colleges in the area almost two decades ago. So other than the Naval Base and what was sure to be good seafood, I didn’t know much about the area. And I certainly didn’t have much insight on Norfolk. So with only two days to explore and the assistance of Visit Norfolk (who gave me complimentary attraction passes), I was able to get a little taste of the area. 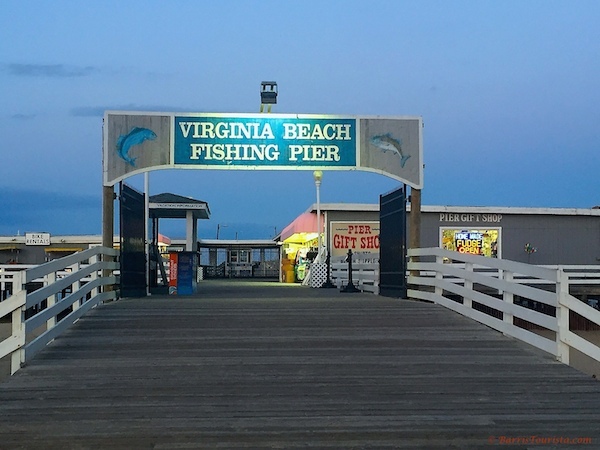 While there is still a ton more to see on my next visit, here is what I did in two days in Norfolk and Virginia Beach. Blowing glass is definitely a feat to be seen. 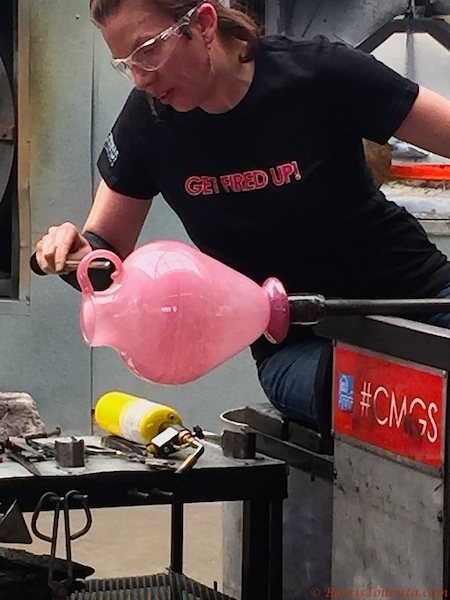 Everyday at noon, the Chrysler Museum hosts a glass blowing demonstration at its Glass Studio. And it is epic. We learned so much from two glass blowers, who though they seemed like they had known each other for years, had only been working together for two days. We were able to see a vase from start to finish, from staining to handles. It was absolutely stunning to watch how the vase came together from just blobs of glass. In the free class, you get to sit in on the whole process and see the pre-cooled finished project. And just across the street is the Chrysler Museum itself, which houses the art exhibits, and even has a café for you to grab a meal or a snack. This was something I had never experienced before and something I highly recommend. I definitely have a better appreciation for the vases and other glass pieces I have in my home. After our glass blowing demonstration, we grabbed a snack on the run and headed over to Nauticus to do the Victory Rover Naval Base Cruise. The ship, which has an inside seating level and an open upper deck, cruises down the Elizabeth River starting at Nauticus naval and maritime museum. We were on the run trying to catch the boat, so we didn’t have an opportunity to view the museum or get on the ship. But we had our share of ships once we made the Victory Rover. We started the two-hour sailing along the downtown Norfolk shore and we saw a shipyard that appeared to be repairing and maintaining the ships. We even got to see the Old Fort Norfolk as well. We then headed down the coast where we saw The Battleship Wisconsin, which was absolutely amazing to witness up close. 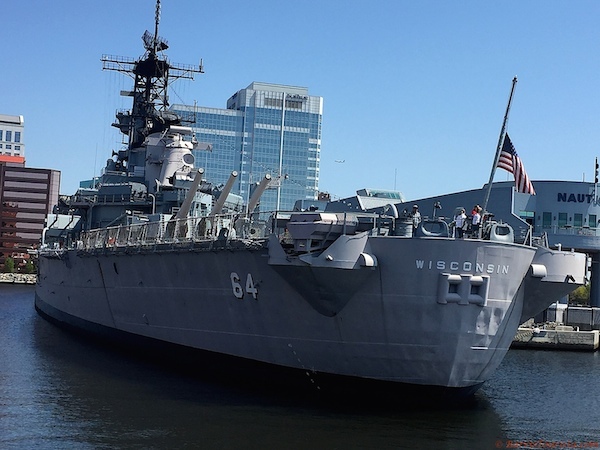 I had never seen a real battleship before, so it was cool to see where The Wisconsin, which is one of four of the biggest battleships built for the U.S. Navy. It’s also the last battleship that was built for the Navy. 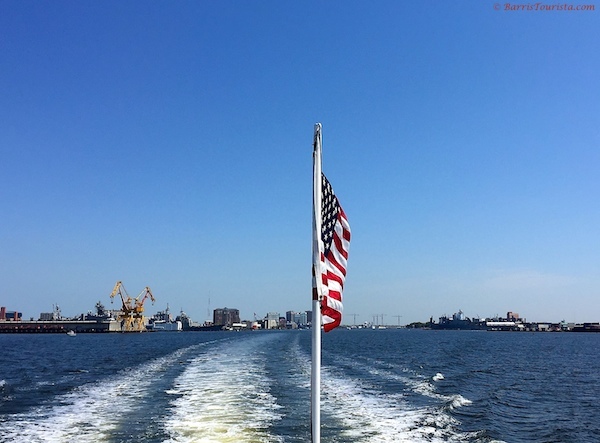 We continued up the coast to the Norfolk Naval Station, the world’s largest naval station. There we saw destroyers, a state-of-the-art floating hospital and aircraft carriers that were said to have whole cities contained within the ship. As we were on the tour, a ship with active Navy actually came into port, which was really cool. We finished up at Hampton Roads Harbor before turning back. It was definitely cool to learn about how the Navy and its ships work. This is a great tour for people of any age. 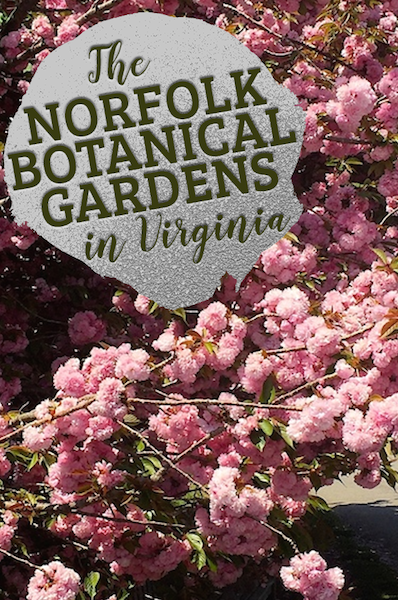 Given that winter has seemingly lasted forever in most parts of the country, I wasn’t sure how much of the Norfolk Botanical Gardens would be in bloom. Turns out, there were quite a good number of flowers in bloom, we saw some lovely colors, and, of course, we got to experience the Lantern Asia exhibit. 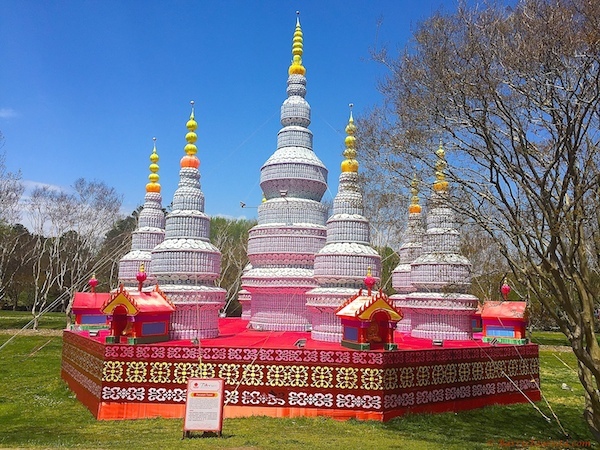 Lantern Asia, an exhibit in its second year, saw over 100,000 visitors last year and is back this year. 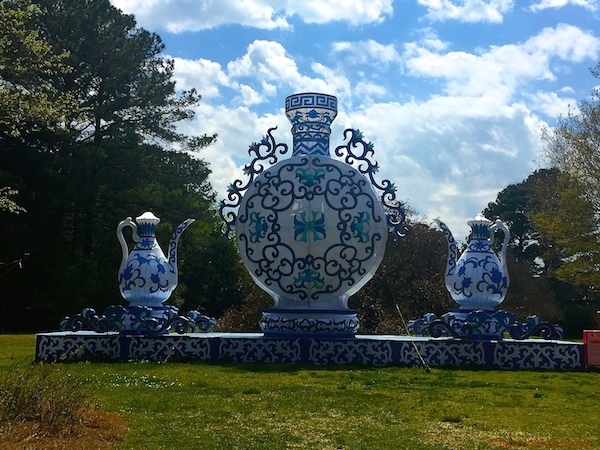 It features lanterns that create intricate designs replicating all things Asia, bringing the vibrancy and culture of Southeast Asia to coastal Virginia. There were parts of the exhibit that definitely reminded me of my time in Southeast Asia, specifically Thailand, last year. The level of detail was amazing and it was cool to see the lantern creations sprinkled throughout the gardens. 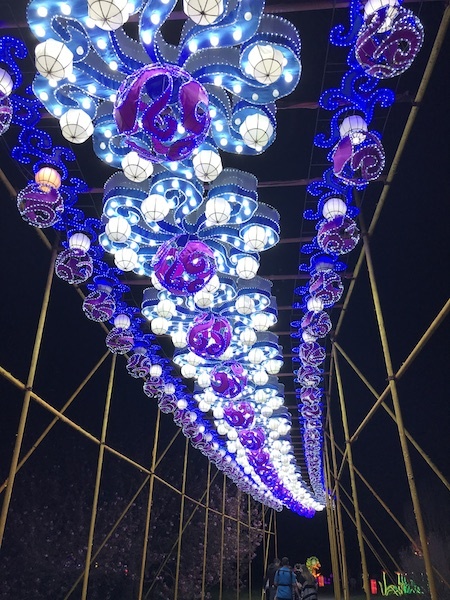 But I am sure that the Gardens were most magical with the lanterns in the Lantern Asia exhibit lit up at night. Because the evening trams were already sold out (you have to get your tickets in advance and check for dates and availability), we weren’t able to see the lanterns all lit up. 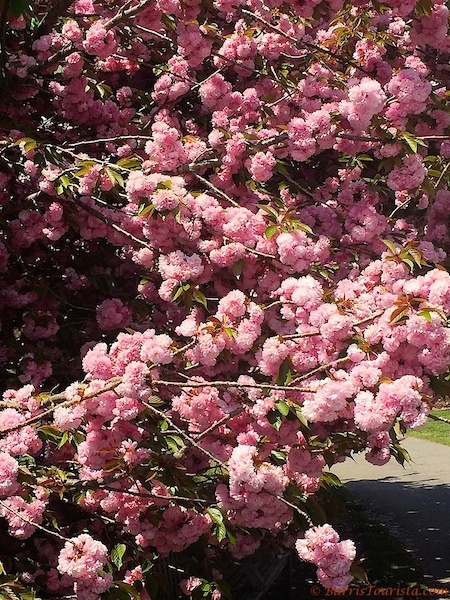 But based on this photograph provided by Norfolk Botanical Gardens, it was a sight to behold. Even beyond the Lantern Asia exhibit, the botanical garden is absolutely expansive, with an 175-acre campus! There are kids play areas, wedding ceremony areas, and just beautiful grounds to walk and enjoy the greenery. The colors were vibrant, even this early in the season, and the tulips, one of my favorite flowers, were in bloom. I highly recommend taking a few hours to really explore the grounds and area. You can’t visit Virginia Beach and not visit the Boardwalk. Well it should really be “Boardwalk” in quotes, because, well, it’s cement. Virginia Beach is super quaint right on the water. The street is lined with restaurants and shops, and you’ve got the beach, of course. We went cruising along the Boardwalk my first evening in town, and our first was at the fishing pier. 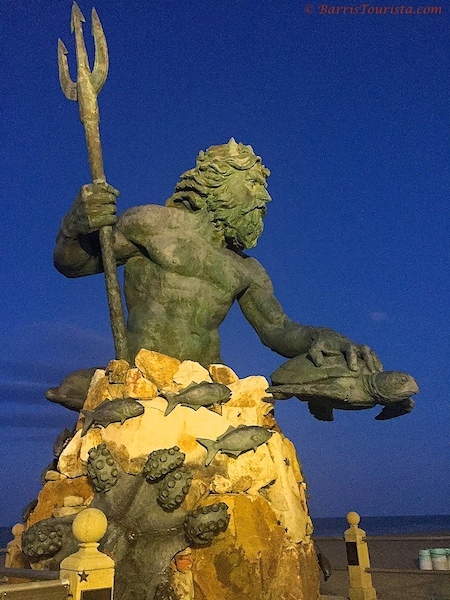 And, of course, we couldn’t leave the area without stopping at the Neptune statue. Neptune is the Roman name for my fave Greek god, Poseidon. And I have the say the statue was worthy of both names, and was perfectly placed right by the beach/ocean and the boardwalk. Virginia Beach is cute and quaint and definitely somewhere I will explore more when I have more time. I was not coming all the way to Virginia Beach and not having some lovely seafood. 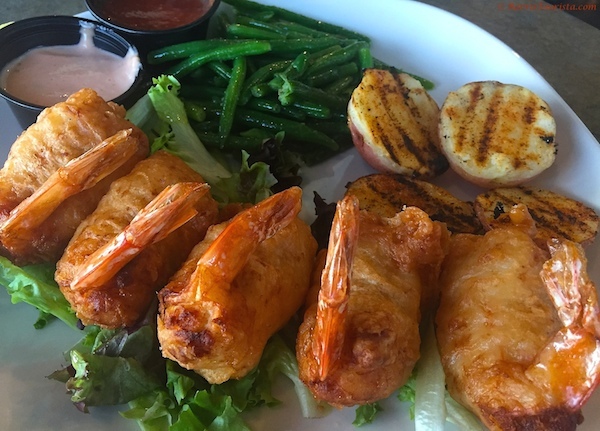 One of the best meals I had was at Rockafellers which was right on the pier. The views were lovely and the food was excellent. Man, did we indulge! I started with a gumbo that was seasoned so well and delicious! I then had a special: crab stuffed shrimp with roasted potatoes and string beans. It was so good! To the point where I wasn’t even willing to save any for leftovers so I ate all of my shrimp…and was super full after committing to that decision. I thought that meal couldn’t be matched, but it was…way out in the country. 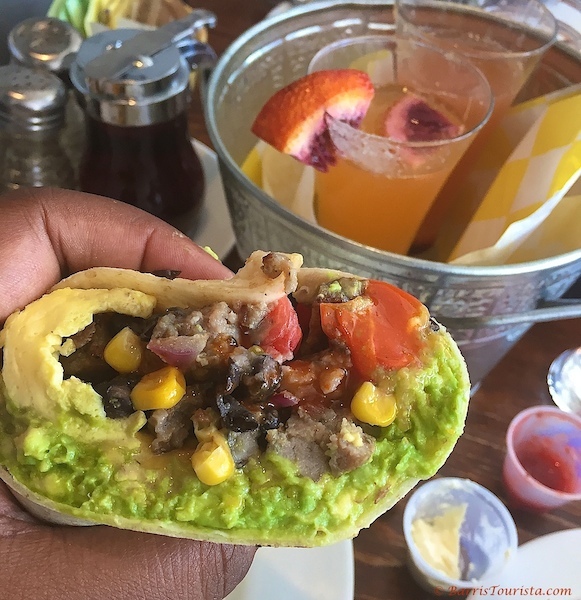 We visited The Bee & The Biscuit, way out in Pungo. But let me tell you, it was worth the drive. Yep, this was the morning of the mimosa flight brunch. The four flavors included a cinnamon apple mimosa, grapefruit mimosa, cranberry mimosa, and a blood orange mimosa (and I may or may not have tried my friend’s lavender mimosa as well). It was absolutely exquisite! The mimosa flight had so many different flavors and was quite enjoyable. Add to that the flaky biscuits with strawberry jam and the “Dirty Hippy” breakfast burrito, and you definitely have a breakfast winner. You can tell it is a local favorite, as even during the week, there was a wait and the restaurant was absolutely packed! All in all, my trip to Virginia Beach and Norfolk was fun. But I definitely need more time. I would love to take a dinner cruise on the Spirit of Norfolk or partake in the other activities offered on the activity pass, such as the American Rover or the Hermitage Museum and Gardens. But all in all, I was able to cover a lot of ground in the two cities, and there is more than enough to fill a longer trip in the area. This is a great destination for anyone, including family travelers. 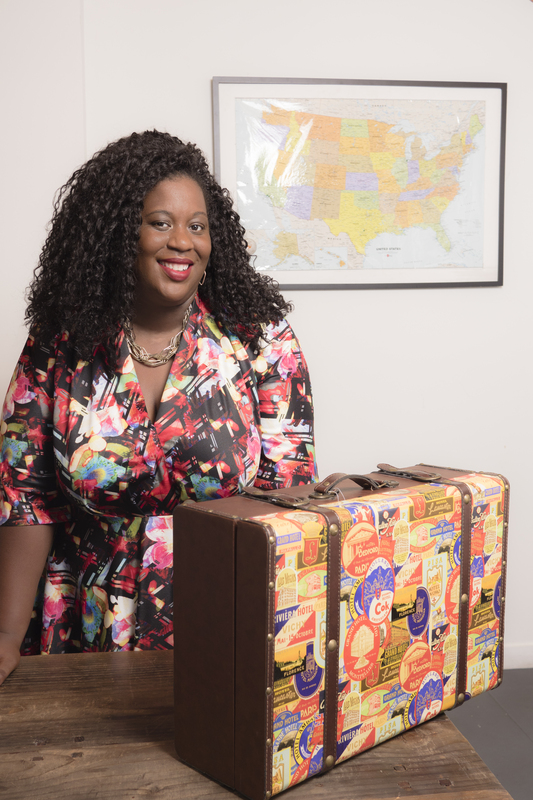 Going to places as an adult is so different! I vacationed in Virginia Beach as a child and while in college at UVA. The botanical gardens look lovely and the glass blowing very interesting. The food looks amazing as well. Mimosas yes! Absolutely, I am so realizing that. Visiting as an adult is TOTALLY DIFFERENT than when we were younger, for sure! I moved to the Richmond area last year and I still haven’t been to Virginia Beach (shameful) This settles it I’m about to plan it out for July! Looks awesome! This would be a great little getaway since you are in state and I am sure the weather is even better in the summer than when I went in April. You found some interesting things to do in Norfolk. Lime you, I love seafood and would definitely go to eat at those places! I mean the seafood alone was to die for Leslie! I think it’s really cute. And the city is growing really fast and has areas with loft spaces and all of that up and coming vibe to it. I’ve been to many beaches on the East coast but have yet to visit Virginia Beach. I think I would enjoy it based on your trips. Reminds me a bit of Charleston. Yeah, it really was a laid back vibe. And it seems like it would be a great place for a trip with kids as well. Norfolk isn’t a far drive from where we live. I’d love to take a trip with my husband. It seems like a nice romantic experience for couples. You really got it in during your two day stay. The glass blowing class sounds really fascinating. I’ve never experienced that before. I would love to make a piece for keeps. You really maximized your two day trip. The glass blowing class sounds so fascinating. I would love to make a piece to take home. It really was. I never would have thought of doing something like that until this trip. Now I look at the vases in my house with new appreciation! This makes me miss the East Coast so much. I grew up on Long Island, so I’m used to great views and great views. 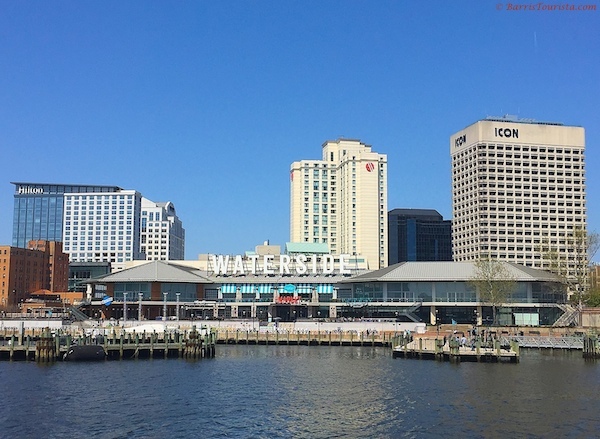 VA Beach and Norfolk definitely have some nice water views, that’s for sure! I have a friend from Norfolk. He’s never told me about all these cool things to do there. Shana, have some words with your friend LOL! 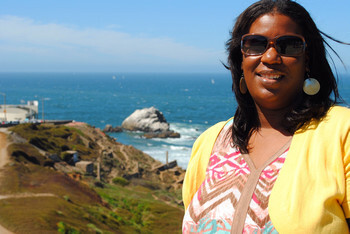 It was cool and a really laid back place to visit. Beautiful!!! My parents recently took a trip to Virginia Beach, it was an anniversary trip because it was the first place they went together when they became a couple almost 40 years ago. They talked about how beautiful it was, now I feel like I need to plan a trip! Awwwww that makes it even more special. That’s really sweet! I’ve always wanted to do glass blowing. Do they have a class where you can complete a project? I LOVE those exhibits at the garden. Sheena, yes they have classes there as well. When I return, I think I would want to try a class as well! Wow, this looks like it would be an amazing weekend trip. Their botanical garden sounds incredible. 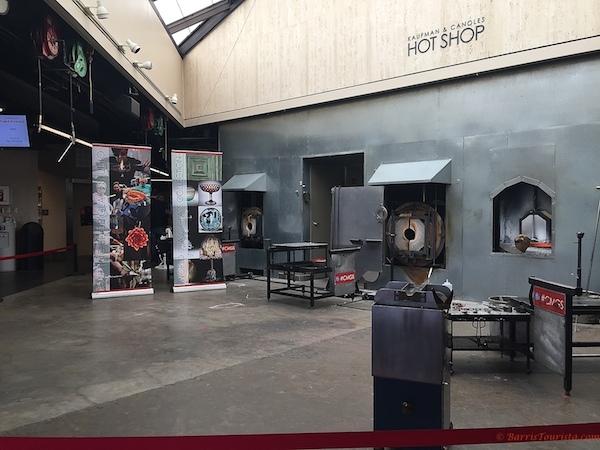 I always look for those when I travel…I’ve never seen the art of blowing glass in person but I used to follow someone on Instagram that would post videos and it looks amazing. I bet it that doesn’t do it justice compared to seeing it in person though. Bridgid, it was absolutely amazing in person for sure. I had never seen anything like glass blowing and it was really neat! 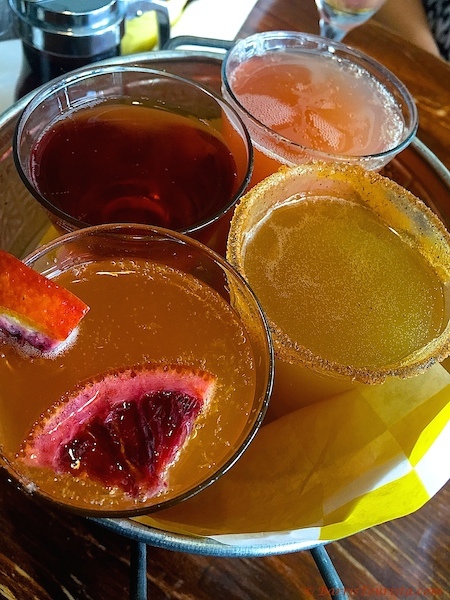 Sign me up for the mimosa flight brunch! That looked fun and I would like to see the garden with the lights too! Girl yes! Who doesn’t like a mimosa flight?? ?